1st Class are busy measuring in Maths! 1st class have been very active in Maths class this week! We have been learning about length, width and height. We have been making predictions and then measuring various items around the classroom. We used non-standard units of measurement such as cubes, links, hand spans and strides. Today we tried measuring with a standard unit of measurement, the metre! 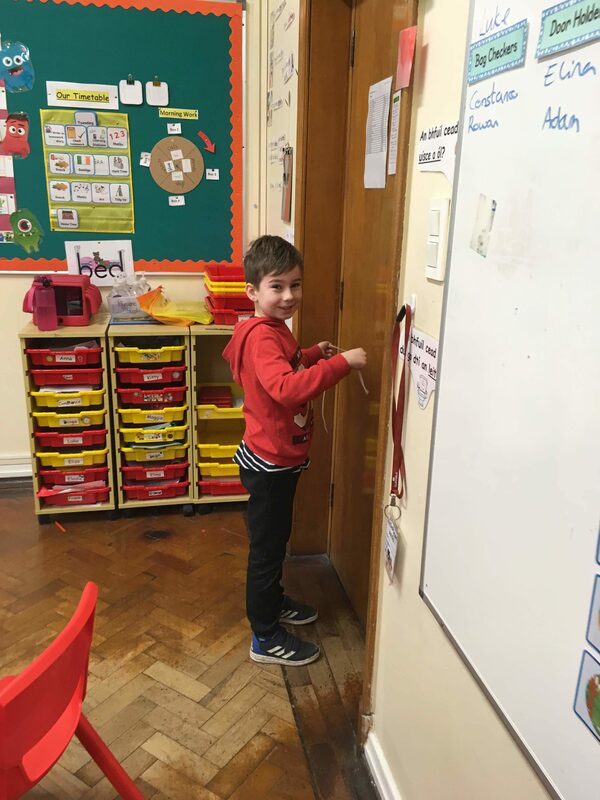 We used a piece of string, which was exactly one metre long, to measure the doors, windows, desks and even the width of the entire classroom!